Come home to Edwards Communities and experience luxury apartment living like no other before. 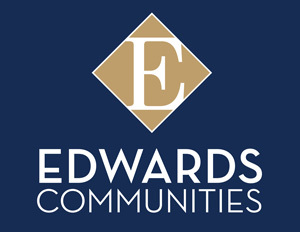 Edwards Communities Apartments are conveniently located throughout the state of Ohio and in Louisville, Kentucky. Living at Arlington Park is similar to being on vacation, beautiful ponds with fountains and the landscaping is impeccable. We have a wonderful park to walk, run or bike in along with a private dog park. Absolutely love it here! This is an awesome place to live! Maintenance fixes everything you ask within a day or two. The staff is professional and friendly. Many, many great amenities. Best of all there's a ton of parking! I highly recommend. Beautiful apartments & landscaping/outdoor space. There are nice walking trails behind the complex that are great for walking a dog!